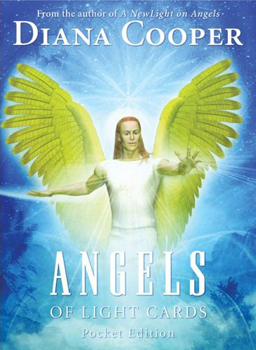 Each card in this lavish deck portrays a different angel for guidance, protection, help and healing. Intended for inspiration and affirmation, the cards work with the user's thoughts and decisions to raise levels of consciousness and open up psychic and spiritual gifts. Whether attempting to release negative thought patterns or clear emotional blockages, the cards offer significant meditative light from which spiritual knowledge and information emanate. This smaller presentation of the best-selling cards offers a lighter, more portable option better suited to purses and pockets.